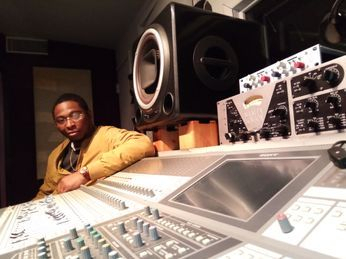 Xalent Audio Engineer, Producer, & Artist Xalent was born in New Orleans Desire Housing Projects. As a young child he started his music career as a rapper being inspired by soul artist from the 70s and hip hop artists/producers DJ Quik, Snoop Dogg, & Nas. In 2010 he established a music production company Rock Tha Mic Productions (R.T.M.) and after a conversation with multi Platinum Producer Mannie Fresh (Cash Money Records) he grew more interested in music production and audio engineering. Relocating to Atlanta Georgia in 2005 he promoted his music online which landed his opportunity to record with Slip N Slide Records ‘On Tha Grind’ imprint while being mentored by platinum selling producer Riecco Delavega (Bad Boy Records). Continuing his education he attended Atlanta Metropolitan College studying Mass Communication later transferring to Omnitech Institute for their dual Audio Engineering/Information technology course. In 2009 he worked at Black Tattoo Studio & later Soul Asylum Studio, engineering songs for artists including, Andre 3000, Gucci Mane, Daron Jones of R&B group 112 and Future. Xalent moved to New York City in 2010 and began working with various studios across the 5 boroughs. Producing for D Tek of (Konvict Muzik Records), engineering for multi platinum producers (Ty Fyffe) at Music Factory Studio, & (Self Service), True Sound Lounge Studio and hip hop artists Raekwon, Future, Busta Rhymes and Cardi B. He continues to release solo projects as an artists while building his production and engineering brand expanding his experience into radio, short film live events and in the near future television.